And Trivandrum has chosen Dr. Shashi Tharoor as its representative to New Delhi.. and whoa, what a refreshing change! The margin, of 1,00,000 has literally floored me, and a good bulk of the Tharoor supporters as well. Shashi Tharoor himself is lost for words at this Himalayan victory. Well, I don't hear any fair complaints, excusez moi dear commie supporters and well-wishers. Apparently, the tough work is now over and Tharoor is well on course to handle one of the crucial portfolios in the new Manmohan Singh ministry, the rumour stuck on with the Foreign Affairs. 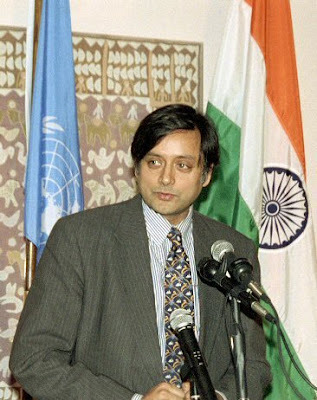 With Congress heading for the magic number on its own, ruling out the usual parasitic infestations in our coalition set up, Tharoor is almost certain to occupy the chair until the scheduled ballots in 5 years time. That's a good five years that could rewrite the scripts for Trivandrum and Kerala. Its not that we haven't had good politicians and visionaries in the past, but Dr. Tharoor has very well exhibited that he is the man for the times. He knows how to bring about 'development' , about which our past leaders have only spoken about. And he has already joined forces with the NGOs, groups like TDF and already has a plan in place for a Citizen's forum to usher in the thought molecules of growth. Tharoor knows it as better as we do, doesn't he? 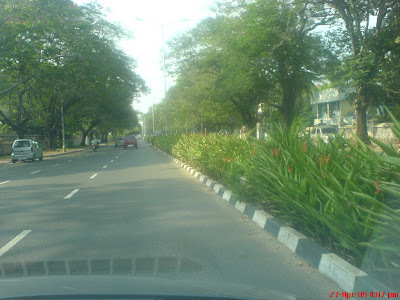 Dont tell me you havnt seen what he thinks Trivandrum needs.. And how about this gesture for a start?